Here are some ideas of some different type canned goods & dry goods to stock. This is what we have stocked (not counting what's in the fridge and freezer) , so it will vary from family to family depending on what you like. Some things we had not tried before and bought just for prepping purposes just to add some variety, and most are things we eat all the time. Some of the new stuff was yucky. However, some people might like that. Your amounts will vary according to the size of your family. I'm sure I'll be adding to this list because I'm sure I missed alot of things. Plus we eat alot of fresh meals that doesn't inlcude alot of this, but for quick meals, most of this stuff is not bad. Just gives some ideas of some alternatives of things that have a long shelf life. I would add oil to this list because with oil, salt, and yeast you can make bread. Peanut butter and jelly are also great foods to add...kids love it and will eat it every day for lunch, on that great bread you just made. Hey Penham and Flumom! I'm sure you already do this, put the mixes, flour, cornmeal, etc in freezer for 3 days to kill bugs. Don't forget the manual can opener in case you lose electricity. We don't have an electric can opener anyway and it's always good to have at least a couple just in case one breaks. What good are all your cans without a can opener? I have a manual can opener in every box of canned preps just in case, and as Turboguy and I discussed on another thread recently, the small military style p38 and P51 style can openers are cheap and very effective, and you can carry one on your keyring. I purchased 24 P51's and I will tape one to every box of #10 freeze dry foods. If you have to bug out fast and forget a can opener at least you can open the cans, hydrate and eat. I believe in taking peoples advice and Jacksdad had a good one with the P51's. Again I have watched too much Twilight Zone and too many movies when they have no way to open the cans!!! LOL, I am a mental case! I really envy you guys in America. I've been prepping for over 10 years and love reading end of the world fiction (mostly based in America) and so much of the stuff that's mentioned we can't get here in New Zealand. And if we can get any of the specialist stuff it's 3 or 4 times the price that you pay. I'd love to be able to buy powdered cheese for example, but can't, so I'm going to try making some myself. Mylar bags are unheard of here, antibiotics are only available on prescription. Even dental filling repair kits can't be bought here. If I win the lottery I plan on flying to the states, filling up a shipping container and shipping it back here! We envy you too. I'm slightly biased to the old U.S.A, but we are all in this together. KiwiMum - I get my mylar bags online (and the O2 absorbers), and while "human" antibiotics are prescription items you can buy some of them OTC at pet stores - for fish of all things. Do a search for Fish mox. On the P51 can openers? Where is everyone buying them? are you getting a deal on them somewhere? Penham - Coghlans make them, and I usually find them at Big 5 or REI. You can find them online - check out Amazon. Thanks! We have a Big 5 about 20 miles away (I live in the middle of no where, lol) I am going into town today so I will stop and see if they have any. Thanks so much! Glad to help - if you can't get any, let me know and I'll send some. I got them, they are made by Coleman. Big5 had them hanging right in the front as you walk in the front door, couldn't miss them. I'm just across the Tasman from you and have found ways of importing most things legally into Australia. Dental kits are not really a problem. Since our counties are so closely tied, trade-wise, do you know anyone in Australia you could ship it to first? It adds an extra freight cost but for small things it may be worth it. I've noticed items from Australia to New Zealand seem to pass through the system quickly. For anti-biotics maybe check out your local aquarium supply store. The following is for entertainment and discussion purposes, ONLY seek professional medical guidance before attempting to diagnose or treat any condition. The same rules apply to veterinary medicine. Also, I do not recommend the ingestion of any product not specifically manufactured for human use, unless it is an emergency situation, and no other viable alternative exists. In addition, people with kidney, liver problems ,and many other serious health issues may be at increased risk while using antibiotics and should consult with a qualified health care provider prior to considering any antibiotic usage. Some medications may also adversely interact with antibiotics and these should be discussed with your health care provider prior to considering any antibiotic usage. This list is not meant to be all inclusive. All dosages given are approximate and adjustable. Antibiotic dosages may vary considerably with age, health issues, and the specific conditions being treated. In general lower dosages are preferable in milder situations, while higher dosages are often necessary in more severe situations. Some antibiotics may make birth control pills less effective. All antibiotics have side effects, including disruptions in bowel and other flora. This problem may possibly be diminished by the appropriate use of probiotic products and limiting the use of antibiotics to only what is needed. One of the most useful probiotics seems to be Florastor. A serious (although thankfully uncommon) consequence of most antibiotic use is the overgrowth of Clostridium difficile , otherwise known as "C. Diff". This can be life threatening and produces a watery diarrhea, 10-15 times per day, often accompanied by fever, and sometimes by blood in the stool. If this condition is suspected, medical attention should be sought immediately. If no medical care is available, the antibiotic Metronidazole or Flagyl (on this list) may be used in conjunction with Florastor to treat this in conjunction with fluid and electrolyte replacements. The antibiotic Vancomycin (not on this list) may also be used in treatment. Adult dosage (oral) 500 mg every 8-12 hours. In children the dose is around: 50 mg per 2.2 lbs of body weight (or per kg) orally, 4 times daily. For dogs a common dose is 5 to 10 mg per pound three or four times a day. The common uses are bacterial pneumonia, bronchitis, ear, lung, skin, and urinary tract infections. (It doesn't work for the common cold.) Contraindications: ALLERGY TO ANY PENICILLIN DRUGS (can be life threatening). It is generally OK in pregnancy (category B). Side effects: Diarrhea, stomach upset and rash. If a severe rash develops or the diarrhea becomes watery or bloody, stop immediately, start or continue Florastor and seek medical help immediately. Dosage (oral): Adults: 500 mg every 6 to 8 hours. Children: 10 mg/ per 2.2 lbs of body weight (or kg) orally every 6 to 8 hours . In dogs, around 10 mg per pound of body weight every 8-12 hours (50 lb dog= 500 mg every 8 to 12 hours) Uses: skin and respiratory infections. Also useful for ear, urinary, and bone infections. It is generally OK in pregnancy (category B). Side effects: Diarrhea, (usually mild), stomach upset and rash. Stop immediately if rash develops or diarrhea becomes watery or bloody, treat with probiotic (Florastor) and seek medical attention immediately. Dosage: (oral) 300 mg every 6 to 8 hours in adults, in children it is generally 2-8mg/ per 2.2 lbs of body weight (or kg) orally every 6 to 8 hours. The usual dose for dogs and cats is 5mg-15mg per pound every 12 hours for 7 to 10 days Do not take concomitantly with erythromycin. Works mainly for anaerobic (deep tissue) or abscess type infections, but can also be used for severe respiratory, skin, and tissue infections. It is generally OK in pregnancy (category B). Side effects: This is one that we really worry about if significant diarrhea develops and "C Diff". Stop immediately if rash develops or diarrhea becomes watery or bloody, treat with probiotic (Florastor) and seek medical attention immediately. IF MEDICAL HELP IS NOT AVAILABLE and diarrhea is frequent, watery, or bloody (or the patient has a fever) consider also using Metronidazole (Flagyl) 500 mg orally every six to eight hours for 10 to 14 days. Dosage: (oral) 500 mg every 12 hours. In children the usual oral dosage for treating serious urinary tract or kidney infections is 10 mg to 20 mg per kg of body weight (about 4.5 mg to 9.1 mg per pound) every 12 hours. The usual dose of ciprofloxacin for treating anthrax exposure in children is 15 mg per kg of body weight (about 6.8 mg per pound) every 12 hours for oral ciprofloxacin The typical dose administered to dogs is 5 to 7 mg per pound per day (11 to 15 mg/kg per day) orally. It is used in pneumonia; gonorrhea; infectious diarrhea, typhoid fever, inhalation anthrax, bone, joint, skin, urinary tract infections, and TB. It is probably OK (category C) in pregnancy if use is justified. Small risks of nausea, vomiting and rash. Rare risk of tendon rupture. THIS ANTIBIOTIC IS INCOMPATABLE WITH ALCOHOL, IT WILL MAKE YOU VOMIT IF YOU HAVE ALCOHOL IN YOUR SYSTEM WHILE USING IT. Dosage: Adults: 250 mg every 6 hours or 500 mg every 12 hours. Children: 30-50 mg daily per 2.2 pounds of body weight (or kg), divided into equal doses. Uses: Useful for treating respiratory infections, whooping cough, Urinary infections and STDs. Also useful for eye infections, lysteria, and legionaries disease. 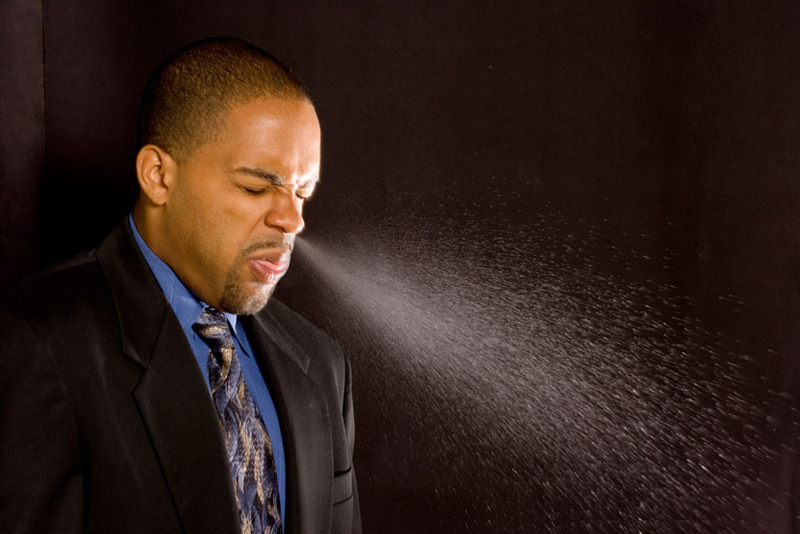 Along with its sister drug, azithromycin (Zithromax), it may also be the most useful in the treatment of respiratory infections since it's category (macrolide) has been shown to have some benefit in common respiratory viral as well as bacterial infections. (Since I know some well meaning GLPer will jump down my throat over this statement, please see further discussion contained in the post following this one before you hit the keyboard.) It is generally OK in pregnancy (category B). Side effects: stomach cramps and nausea. BTW more useful info in a TSHTF scenario, a single 1 gm (1,000mg) dose of azithromycin (Zithromax) orally should treat urethritis and cervicitis due to chlamydia and most forms of gonorrhea. Azithromycin is also available as a "fish antibiotic" on eBay, although somewhat more costly than most. Dosage: One tablet every 12 hours. Children: not recommended in less than 2 months: 3.6mg/pound per day trimethoprim (18mg/pound per day of sulfamethoxazole) in 2 divided doses at 12 hour intervals for 5 days (shigellosis) or 10 days for ear infections and urinary infections. It is probably OK (category C) in pregnancy if use is justified. Uses: for recurrent urinary infections, bronchitis, traveler's diarrhea, shigellosis, ear infections and pneumonia. Also useful for Lyme disease MRSA (Methicillin-resistant Staphylococcus aureus ) Side effects: Photosensitivity and rash. Stop immediately if a rash develops, especially face or upper body, as this can be serious. Dosage is generally 100 mg orally every 12 hours for most uses. CHILDREN younger than age 8 CANNOT TAKE this medication due to the risk of tooth discoloration, and it should NOT BE USED BY WOMEN WHO ARE PREGNANT OR BREAST FEEDING. The usual dose of doxycycline in dogs is 2-5mg/pound every 12 to 24 hours. The usual dose of doxycycline in cats is 2mg/pound every 12 hours. Again, it should not be given to pregnant animals or puppies. Doxycycline may commonly be used for urinary tract infections, lyme disease, skin infections, common genital infections, acne, gonorrhea, chlamydia, and periodontitis (gum disease). It may also be used to treat anthrax (after inhalation exposure), Rocky Mountain Spotted Fever and used to prevent malaria. Doxycycline is FDA pregnancy category D. Do not use doxycycline if you are pregnant or breast feeding. DO NOT TAKE IF EXPIRED. Side effects: Doxycycline can make you more sensitive to the sun, and burn more easily, may cause diarrhea, itching and mouth sores. Calcium supplements, antacids, and dairy products may somewhat block the absorption of Doxycycline. 1. If any sort of fever due to INFECTION is suspected and medical care is not available (or even if it is), DO NOT USE ASPIRIN, ESPECIALLY IN CHILDREN. Acetaminophen (Tylenol) or Ibuprofen (Motrin, Advil, Aleve) types of fever reducers are generally safer to use in these circumstances. 2. For most common uses, a week to 10 days of antibiotic therapy is generally sufficient, depending upon improvement and circumstances. Any antibiotic should be stopped earlier, however, whenever any detrimental side effect is observed, unless maintaining therapy is essential and alternatives are not available. These decisions should, of course, be made by a qualified heath care provider whenever possible. 3. In stocking a medical BOB on a limited budget, I would pick first Cephalexin (Keflex), second Metronidazole (Flagyl), third Erythromycin or azithromycin (Zithromax) if you can afford the more expensive of the two, fourth Sulfamethoxazole and trimethoprim (Septra DS, Bactrim DS). and fifth Ciprofloxin or Doxycycline. No matter what my budget, I would make sure to have Florastor. Those are my picks, but you should check with your health care provider to see if you or people in your family have and counterindications to any of these, and then choose accordingly.